Video Marketing is Transforming how Companies do Business. Home/Blog/Cincinnati/Video Marketing is Transforming how Companies do Business. As a Cincinnati Video Production company, we tell our clients that video isn’t just a nice-to-have at all stages of the buying journey, it’s a must. Why you ask? Because up to 90% of a customer’s decision to purchase is made before they come into contact with your sales team. We aren’t talking through whitepapers or landing pages (although they help). 72% of B2B buyers and researchers are watching videos to help them make their buying decisions. And not just a few snippets and clips of video here and there: nearly half of them watch at least 30 minutes of content, according to Google Research. 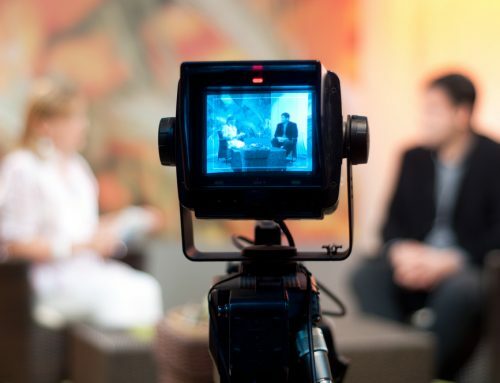 Businesses are reacting by using video in their content marketing strategies to build relationships with online audiences. A 2014 report by Demand Metric found that 50% of marketers are now producing more than 10 videos per year, and (get ready for this!) 1 in 3 large companies produce more than 100 videos per year! Video isn’t one-size-fits-all. What works for one company may fail for the next. It’s essential to have the right team to drive your content. Black Tent offers battle-tested strategies to companies in Cincinnati and nationwide looking to harness the power of video to drive sales.